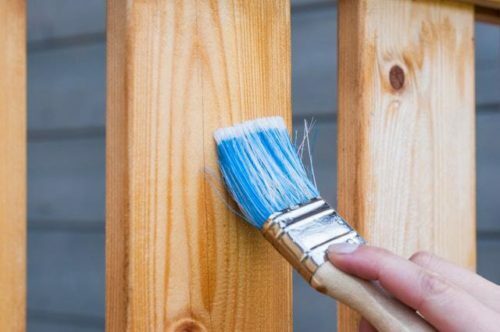 Your painted furniture no doubt adds style and color to your decor, but if not taken proper care of, it can turn out to be an unpleasant sight. Painted furniture is the easiest to maintain and requires little effort. This kind of furniture suits the contemporary decor where different colors can be included to add to the beauty of the decor. Below you will find the list of care instructions for painted furniture. So be it painted accent furniture, a colored bookshelf, or patio furniture in any color, all of these grace you’re home with a modern feel. Maintaining painted furniture is not a very difficult task. With some simple tips, you can easily keep the painted furniture forever new. 1. Dust your furniture with a soft damp cloth. The dust build-up is common with all types of furniture, no matter where it is kept. To clean dust deposits off painted furniture, dampen a sponge or washcloth, then gently wipe the furniture in smooth, vertical motions with a soft touch. The brush attachment of the vacuum cleaner can also be used to remove dust from painted furniture. It is very essential to repeat this process once or twice a week so that its life increases. 2. For cleaning of spots and stains from the painted furniture. Mix 1 tbsp. of liquid dish detergent with warm water. Dip a cloth into it and wring it as much as possible. Now rub the surface gently in circular motions. Immediately clean the surface with a dry clean towel. 3. You can use water for cleaning the furniture. Make sure you wipe your painted furniture with a dry cloth, as the watermark will turn out to be a permanent stain with time. Take one cup of white wine vinegar and mix it up with two cups of warm water. Now put the mixture into a spray bottle and spray the liquid into stained areas of your furniture. Let it settle for 3-4 minutes. Now use a sponge or a soft cloth to wipe the furniture. If you notice that your furniture has scratches, get rid of them by painting it with a good quality wood furniture polish. This may make the furniture surface slippery, so don’t use this excessively. Take care of your furniture and make it last for years. Turn your home into a delightful and enviable sight by simply following these easy to follow tips. Help fellow readers by writing your care instructions for painted furniture in the comments below.